The UniMag II is one of the most affordable, entry-level mobile MSRs available. The UniMag supports TDES and AES encryption using DUKPT key management, securing sensitive data. 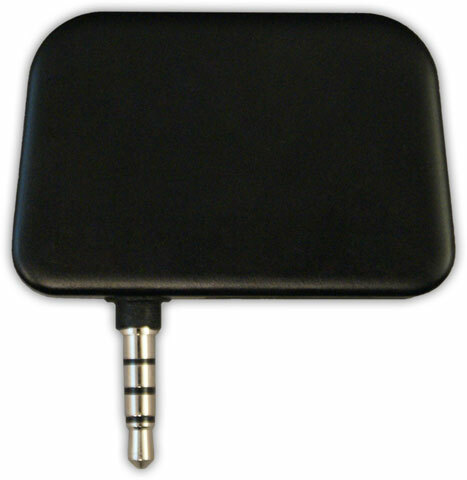 Reads up to 2 tracks, and has an extended phone jack, which enables it to work with various phone cases. The IDTech UniMag II magnetic card reader empowers you to take payments virtually anywhere. Compatible with Apple and Android smartphones and tablets, the UniMag II connects to your device via audio jack, sending encrypted credit card data through various processing software apps. For a 3-track version of this mobile MSR, see ID Tech UniMag Pro. • Dimensions (W x D x H): 1.77" x 0.43" x 1.18"